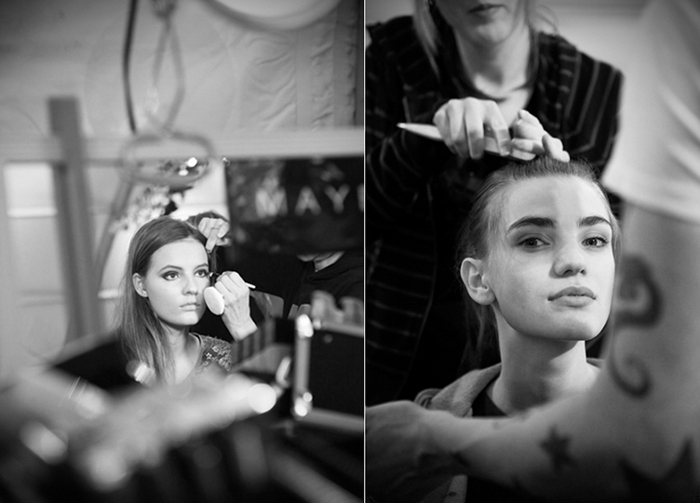 It’s Fashion Week in NYC and this past weekend I was backstage at Cynthia Rowley’s show at the Lincoln Center. As with most events, backstage is where all the fun is. 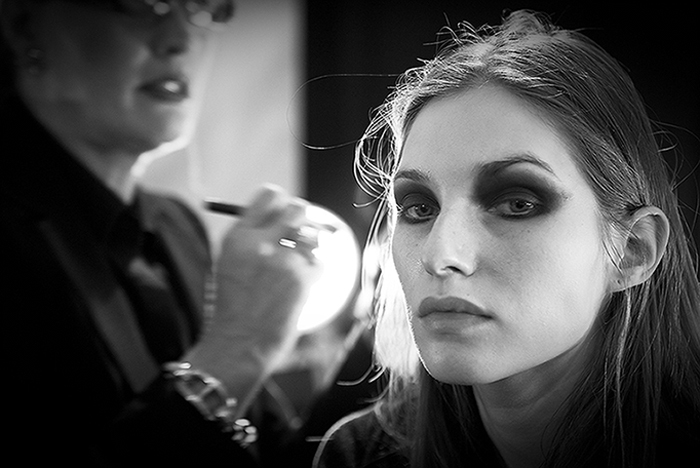 There’s lots of models, stylists, and many, many people with cameras – both still and video. What struck me the most though was how well the models could isolate themselves mentally from all of the chaos around them. With stylists pulling on their hair, heavy make up being applied around the eyes and photographers shoving cameras in their faces it’s amazing they keep as sane as they seem. 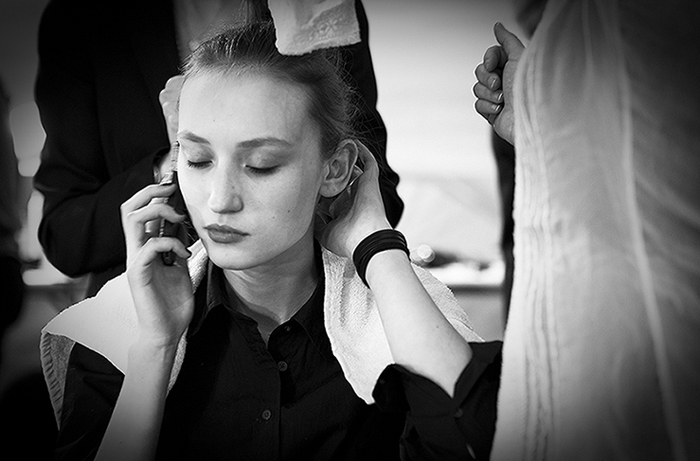 They all took it in stride eating a small sandwich (yes models do eat), talking and texting on their phones (yes while getting their hair done) or or getting away from it all by hiding behind the curtains. It was quite amazing to see how all of this was put together. Three hours of prep for a ten minute show. It all looks so easy when you see it from the stage. 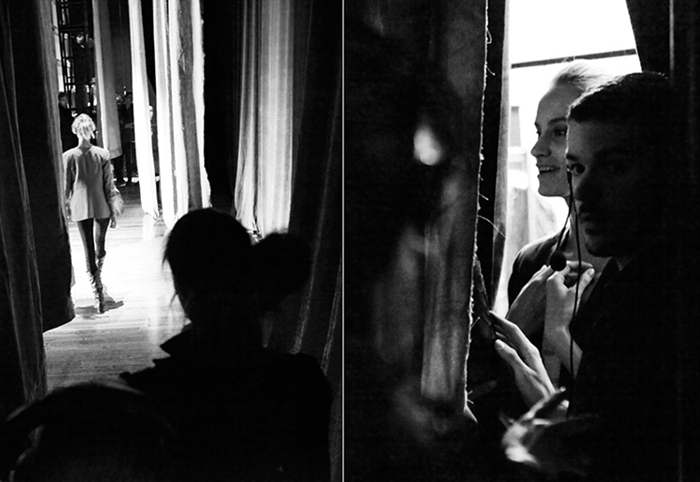 Here’s a few backstage outtakes.